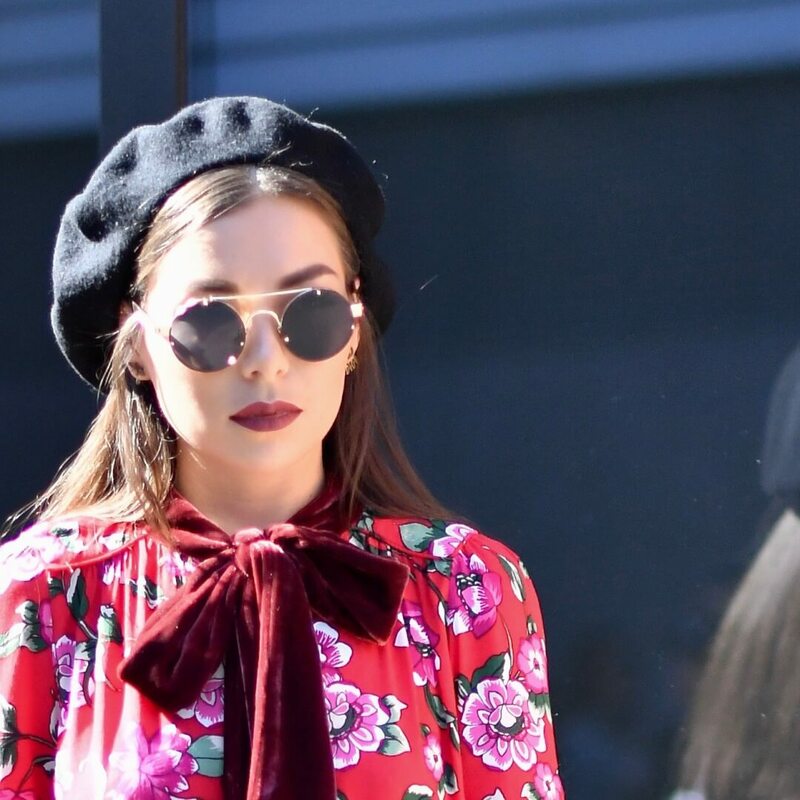 Going through this last Fashion Week’s street style photos was a real eye opener as far as spotting sunglasses trends. Of course as with all fashion trends we are still free to wear whichever eyewear we choose. However the one glasses trend that dominated Fashion Week was the metal frame. Spotted everywhere they are seriously taking over the sunglasses trend scene. 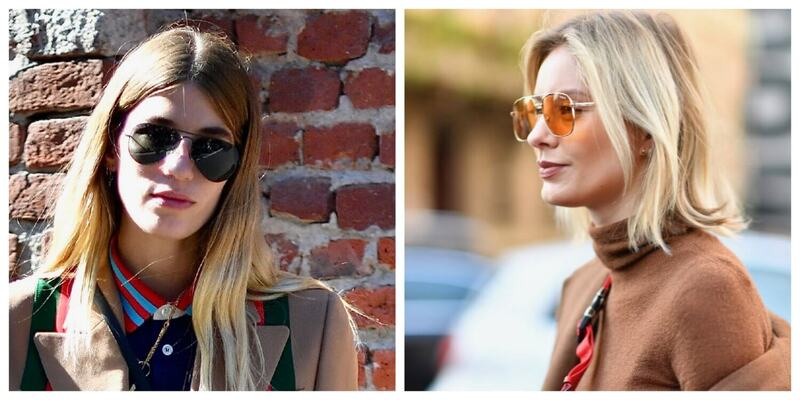 Keep reading to see the glasses worn during Fashion week in both Milan and Paris. Note metal frames but more than that, there seems to be a movement towards down sizing. Smaller frames spotted frequently. We are going back to thinking of glasses needing to fit to the actual face wearing it! Happy to see round still featuring large. It’s the one shape that really does suit so many different faces. Did you know that round sun glasses were the first shape ever to be featured in Vogue and this was in the 1940’s. 70 plus years later and we are seeing the same looks come through again. Then there’s the classic Pilot glasses look. 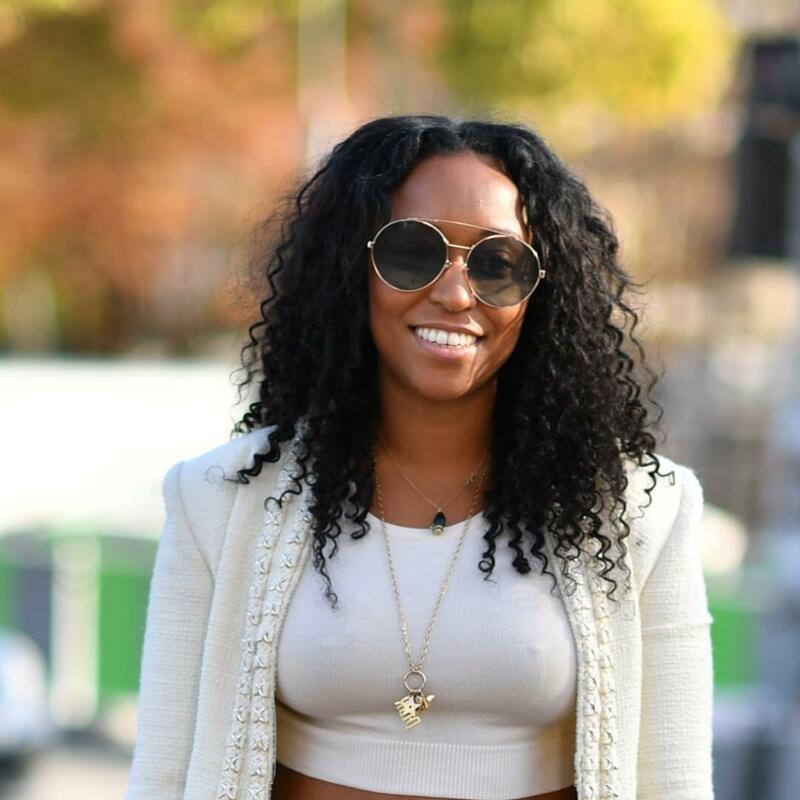 As staple in the eyewear scene as black is for apparel. I seem to be wearing my Pilot look a-likes a lot these days. They come from a recently discovered online glasses company Optically Co.NZ. I love the fact that they are so light they feel like you aren’t even wearing glasses. My hubby is happy – he says I finally have a pair of sunnies that are the right size for me – HAHA! Here are a couple of similar frames I also quite liked. Fabulous value – with every frame you buy they offer free prescription lenses and scratch proof coatings! Wishing you lots of fun selecting your next sunglasses and remember even in Winter it’s super important to protect your eyes from the Sun. Wishing you a super sunny Autumn with fabulous Sunglasses! This post is written in collaboration with optically.co.nz but all opinions are my own. I quite like these glasses. Aviator glasses are the wrong shape for my face, but the other ones… yeah. Thanks Greetje – maybe round glasses? I think these work on really almost everyone! Have a wonderful day dear! Thank you so much for your comment Sue. I know what you mean about prescription glasses – I have two pairs of sunglasses that are prescription and the others are just pretty so I can’t use them for driving or anything. Hehe I agree re IG taking “pen pals” to the next level and I am sure if we lived closer we would have met up by now. Maybe one day we will be able to – that would be so nice. I bet you are the most lovely Cancer patient nurse out! People often talk about fashion being fickle but I remember once in Auckland with my Mum. We saw a lady who was dressed so nicely – she was very sad because her husband was ill but getting dressed nicely each morning really brought a little happiness into her life. We spoke to her about her husband but later moved on to how lovely she looked in her outfit – leaving her with a lovely smile back on her face. Wishing you a fabulous Friday dear! Oh , thank you , Yvonne you are very kind. One day , the shopping gods might bring us together…that would be fabulous !!! Yvonne, I am loving your pink coat! And the sunnies look great on you. I am still partial to the thicker plastic frames for my face. Although I do love the daintier appeal of the smaller metal frames. They just don’t seem to work as well on me. And a very slight cat eye frame is the best shape for my face. Now if I could find that shape in a metal frame…perhaps it would be magic! Thanks so much for sharing and for linking up with me On the Edge! Thank you sweetie, maybe it’s just a matter of getting used to a new look??? I tend to avoid wearing metal frames because they’ve always got that little pad that sits on the top of your nose. The problem is whenever I put my glasses on my head, they get all tangled up in my hair!! Oh no, such a pain you poor thing. Those sunglasses really suit you Yvonne! I don’t own any metal framed shades, I usually stick to oversized or cat eye sunnies. I do like them on other people though. Thanks for linking up!